Stretching the One Income Dollar: Get Ready For Black Friday! Limber up, perform a few stretches, get your elbow pads ready and get some rest-one of the most exhausting and exciting shopping days of the year is here-Black Friday. Who doesn’t like an overnight shopping marathon? Black Fridays is usually associated with some of the biggest deals of the year. You don’t have to camp outside of the store days, many deals are also available online. This is a fabulous time to make a dent in that Christmas list while saving a lot of money. Remember, that sleep can be overrated when there are amazing shopping deals to be had. Schick is offering Buy one get one 4ct packs of Xtreme3 disposable razors. Simply find the specially-marked packs at Wal-Mart and redeem it at checkout. 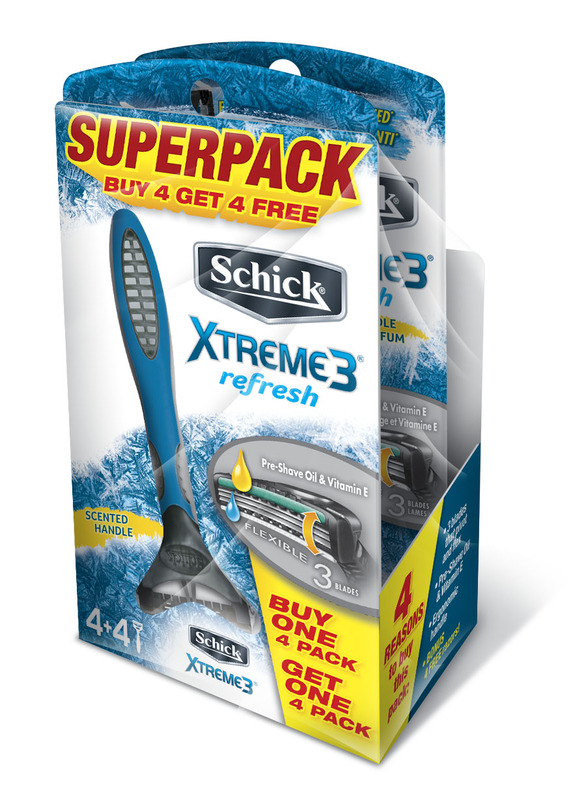 Schick Xtreme3 razors have three flexible blades shape to the contours of your skin and combine with anti-razor burn technology to help reduce irritation for a smooth, clean shave.